"Every day, cash for you. How great this that?" 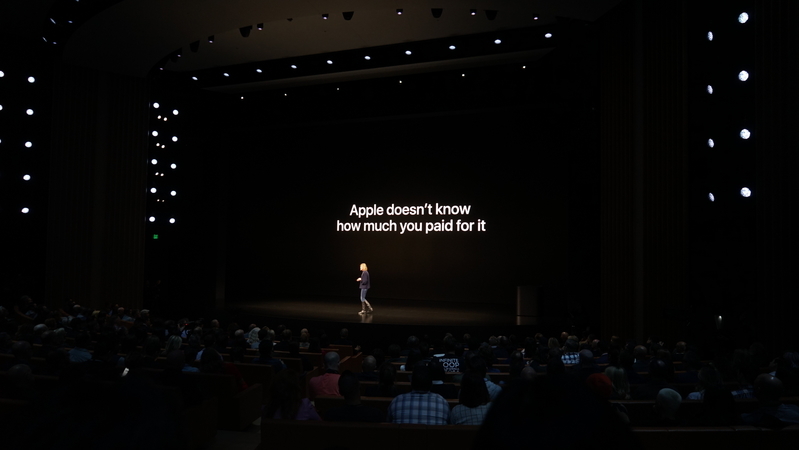 "Helping you understand how much you owe and if you want to pay it back over time, how much it will cost you." Minimum payments "cost you a fortune in minimum payments and seem to be designed to keep you in debt." 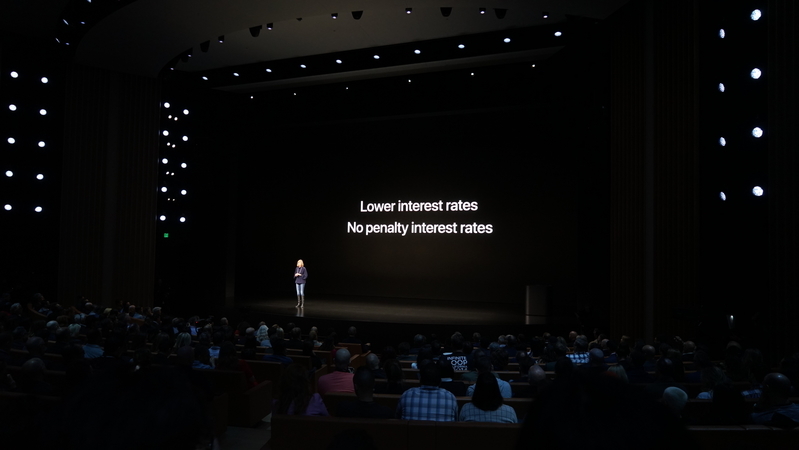 "We've added the flexibility to schedule more frequent payments." 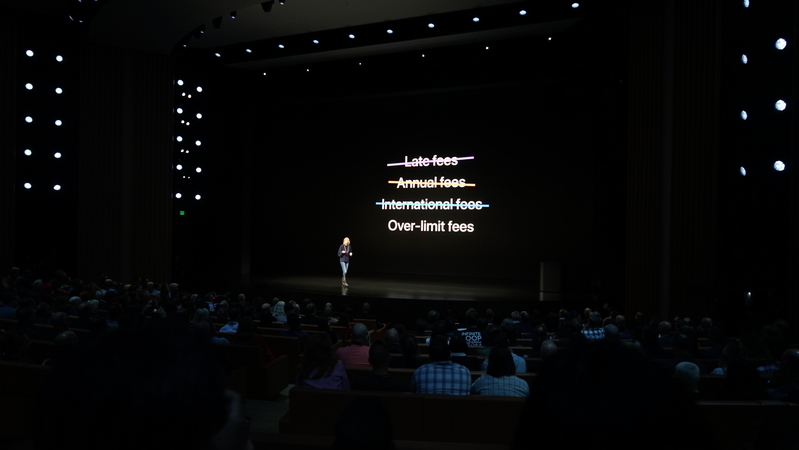 "All the fees and high interest rates that most banks charge are just not ok. Apple Card has no fees"
"We needed a bank that was willing to do things that have never been done in the industry before. 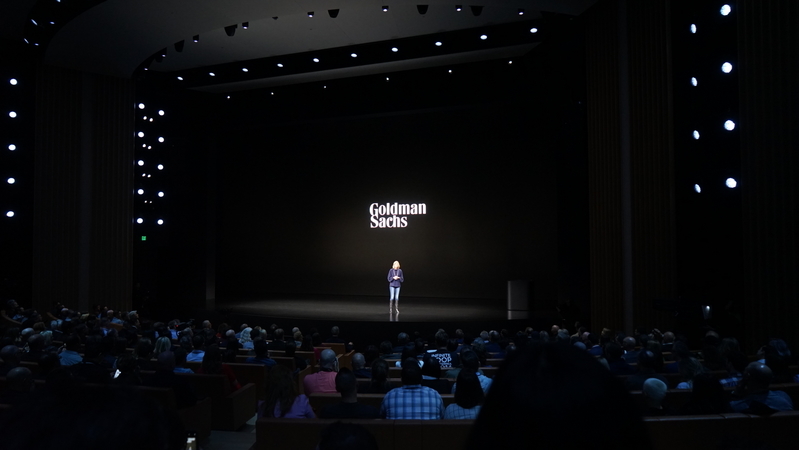 We partnered with Goldman Sachs." 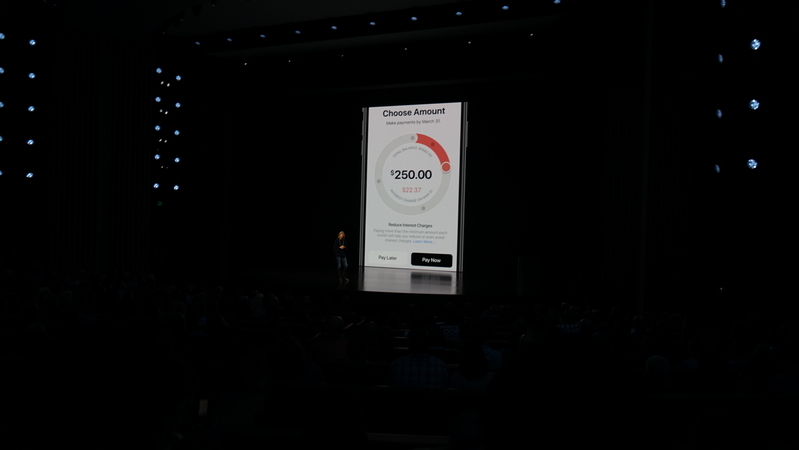 "We're also excited to be working with Mastercard. 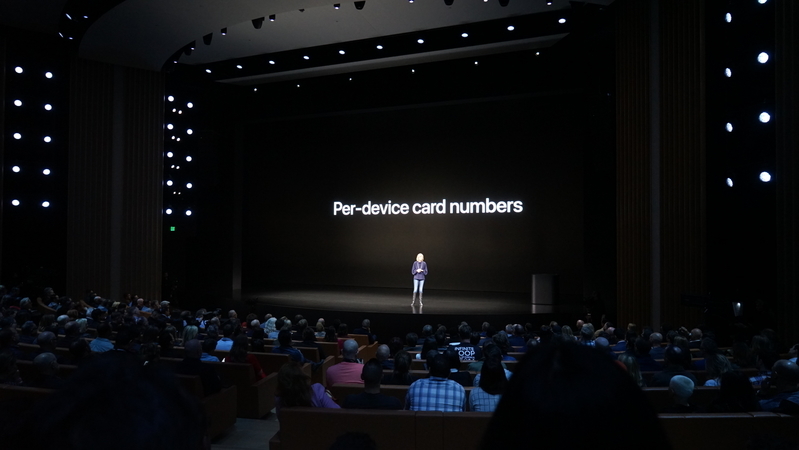 ... Apple Card will be accepted all over the world." 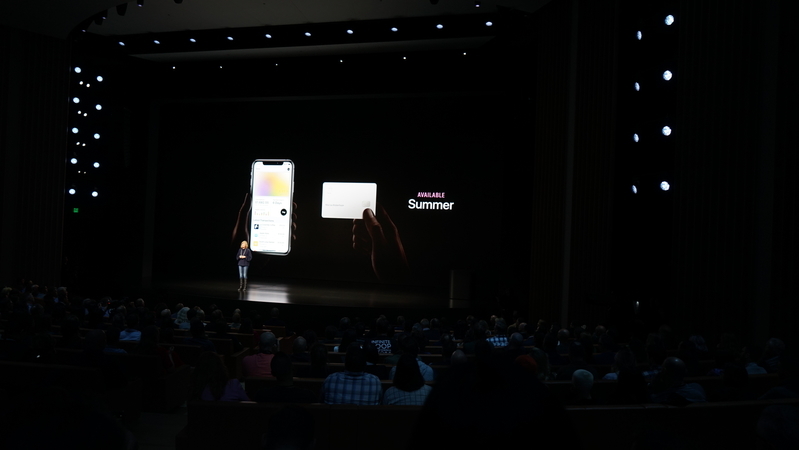 "We also designed Apple Card to set a new level for privacy and security." When you get the card, a unique code is issued. 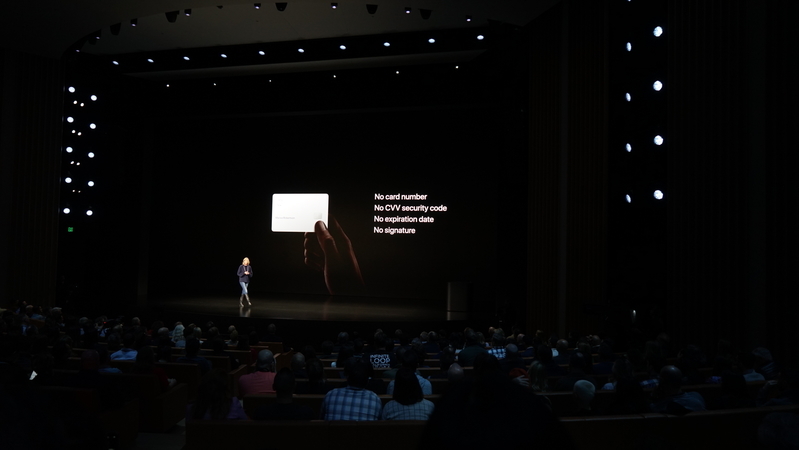 "Every purchase is authenticated with Touch ID or Face ID"
"We created a unique architecture for Apple Card where Apple doesn't know what you bought, where you bought it or how much you paid for it." 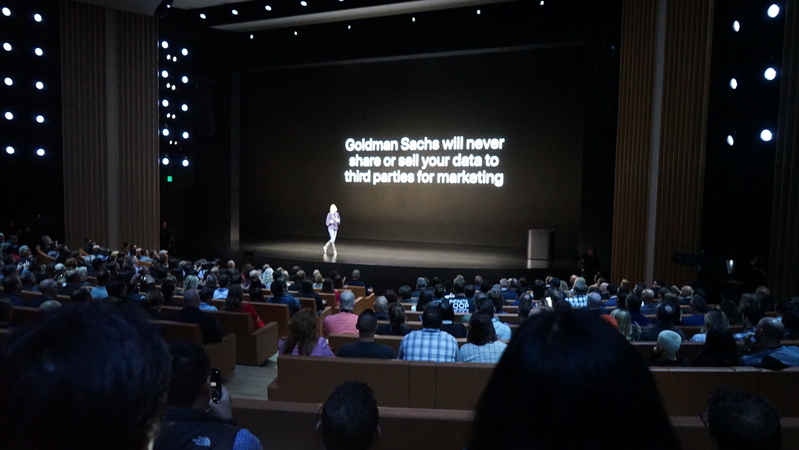 "Goldman Sachs will never share or sell your data to third parties for marketing or advertising"
"Sets a new level for privacy and security. But that's not all. For those rare times Apple Pay is not yet accepted, we designed something for that too." Oh lord. is this going to be a product video of a credit card? Where is Jony Ive's dulcet tones? "The card is titanium, and your name is laser-etched on it. It's the most beautifully designed ever." There's no card number, CVV security code, expiration date or signature on the card. "There's never been a credit card like it before. 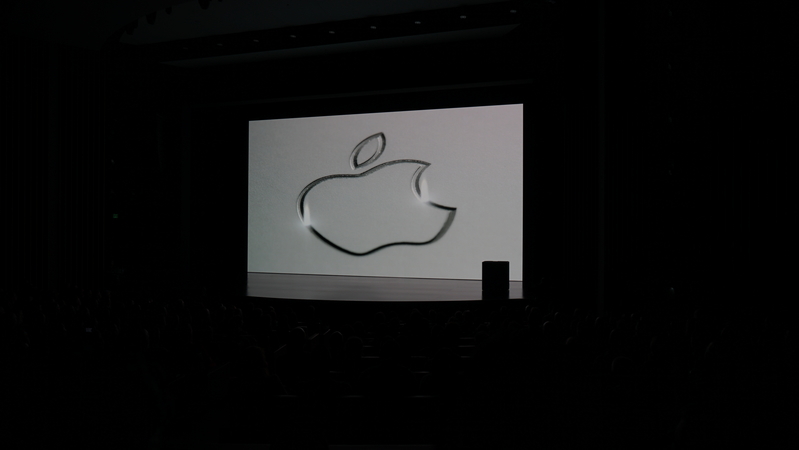 Coming to Wallet in the US this summer." 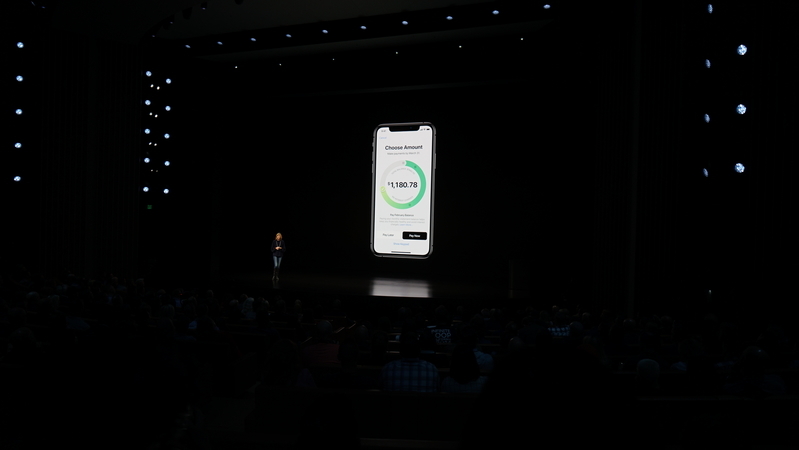 "We think Apple's uniquely positioned to make the most signficant change in the credit card experience in 50 years." 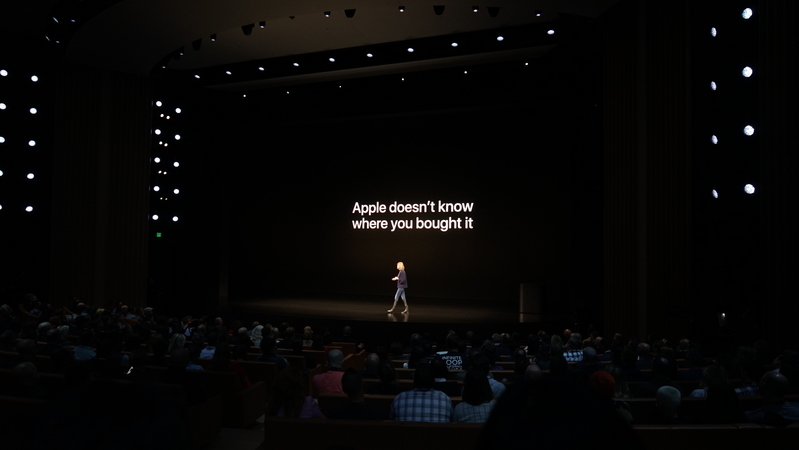 "Now let's turn our attention to the App Store." 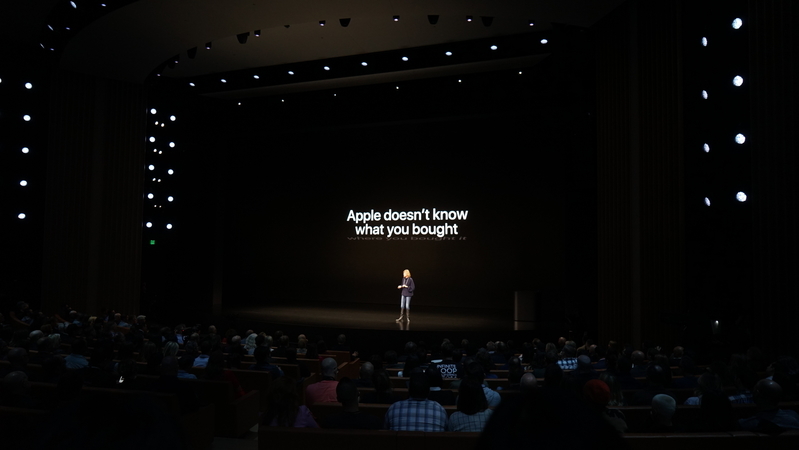 "From Day 1, the App Store has been a safe and trusted place for users to discover and download apps."